When matter approaches a black hole's event horizon – the point at which not even light can escape – it forms an orbiting disk. Matter in this disk will convert some of its energy to friction as it rubs against other particles of matter. This warms up the disk, just as we warm our hands on a cold day by rubbing them together. The closer the matter, the greater the friction. Matter closer to the event horizon glows brilliantly bright with the heat of hundreds of Suns. It is this light that the EHT detected, along with the "silhouette" of the black hole. The measurements of the speeds of matter around the centre of the black hole are consistent with being near the speed of light. 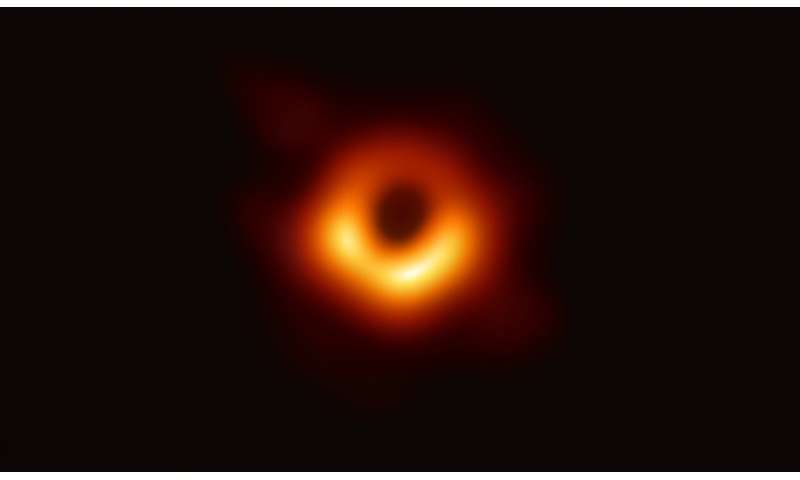 From the image, the EHT scientists determined that the M87 black hole is 6.5 billion times the mass of the Sun and 40 billion km across – that's larger than Neptune's 200-year orbit of the sun.